The toe area is reinforced with the same kind of durable rubber that’s used on rock climbing shoes. 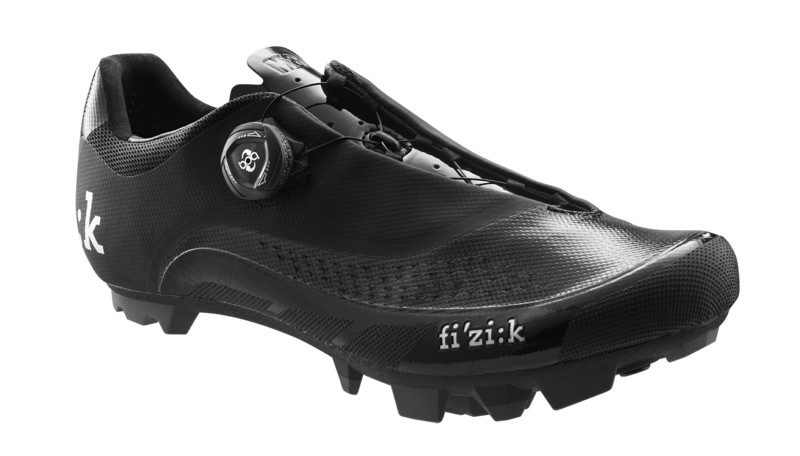 Low weight, a reinforced upper, and one seriously stiff outsole highlight the new-for-2017 fi’zi:k M3B Uomo mountain bike shoes that are featured in this stoke video. Designed for XC racing, cyclocross, or any pursuit where shaving grams and increasing power transfer matter. Features of the M3B Uomo ($300) include a breathable Microtex laser perforated anti-scratch leather upper with extra scuff — and foot — protection at the toe and along the sides. Secure closure is achieved via a single Boa IP1 two-way dial that makes on-the-fly adjustment easier. The single Boa also means there are less parts to break when charging hard on the trail. A stiff carbon fiber sole means no wasted energy. Inside you’ll find a comfortable insole with supportive heel section. 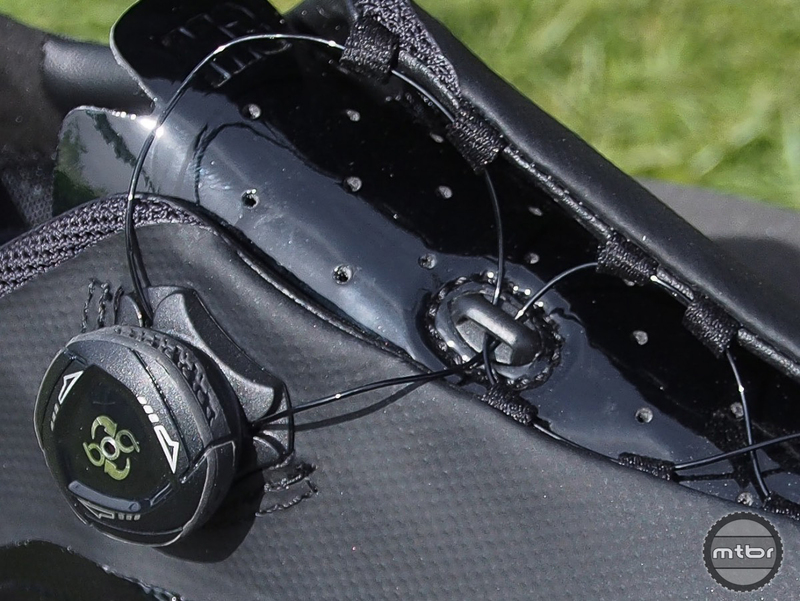 The heel cup also utilizes silicone dots to alleviate heel lift, especially when running or walking. 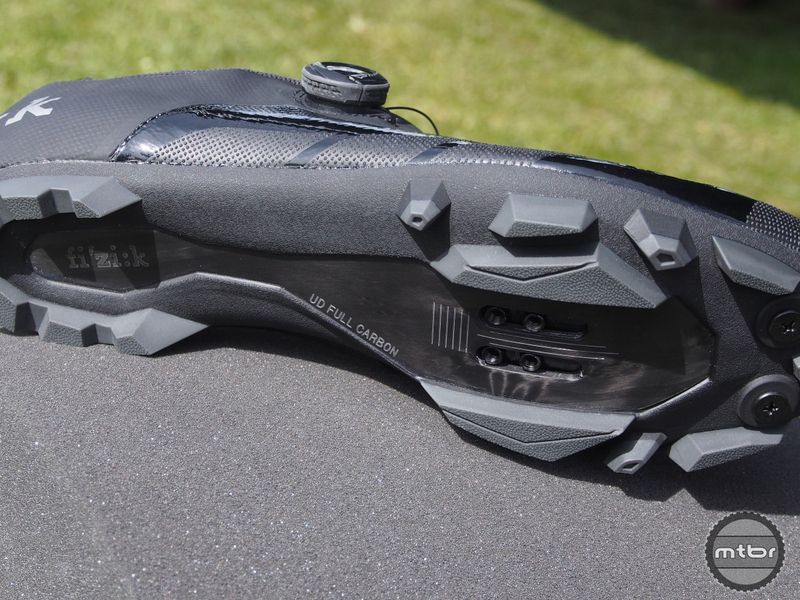 Meanwhile, the underside features a unidirectional carbon fiber sole with removable skid plate. There are also screw holes for spikes, and handy cleat positioning marks. 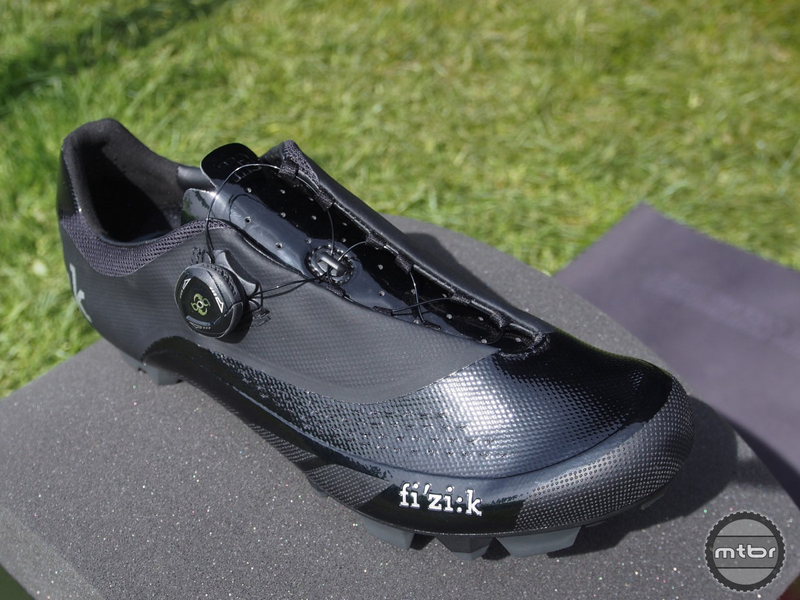 TPU lugs are claimed to deliver confident traction off the bike. The single two-way Boa handles all closure duties. Sizes run 39, 40-47, and 48. Our just received test size 43 test pair weighs a wispy 357 grams per shoe. We’ll be mounting them up with cleats soon and will report back from the field once some test miles are logged. Our size 43 testers weigh 357 grams per shoe and cost $300 for the pair. 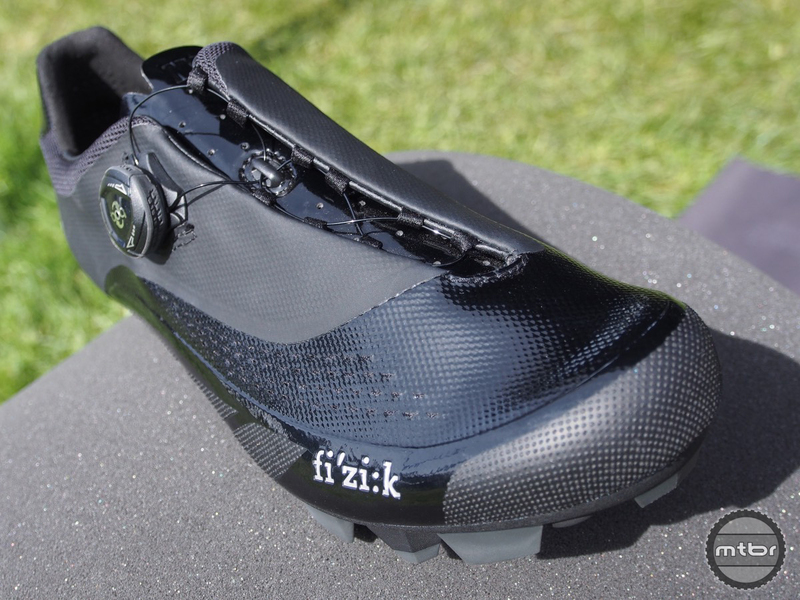 For more info please visit www.fizik.com.